Are you ready for VIFF (Vancouver International Film Festival)? 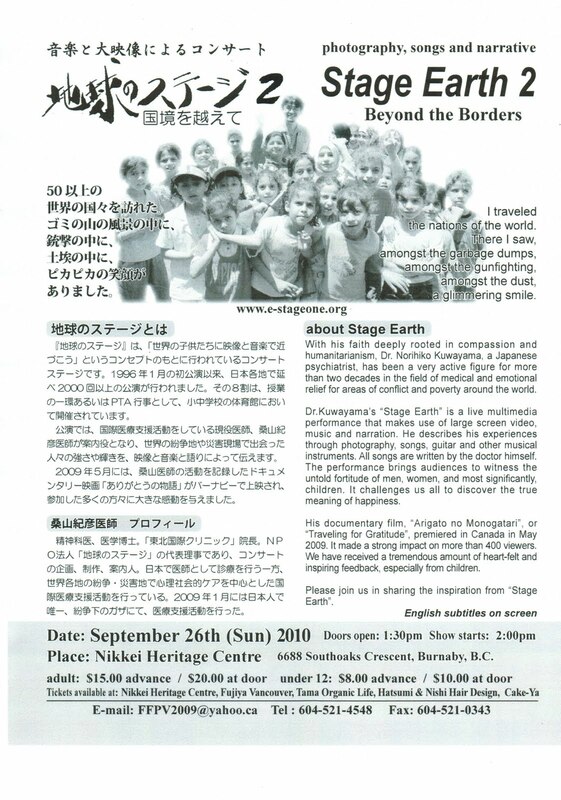 Film ANPO - by director Linda Hoaglund, producer of highly acclaimed film "Tokko-Wings of Defeat," will be shown in VIFF (6PM on Oct. 3, and 1:15 PM on Oct.4). Admission is free (donations to cover the rental expense are welcome. )Children are welcome. Snack donations are welcome. Linda Hoaglund was born and raised in Japan. Her previous film, Wings of Defeat, told the story of Kamikaze pilots who survived WWII. 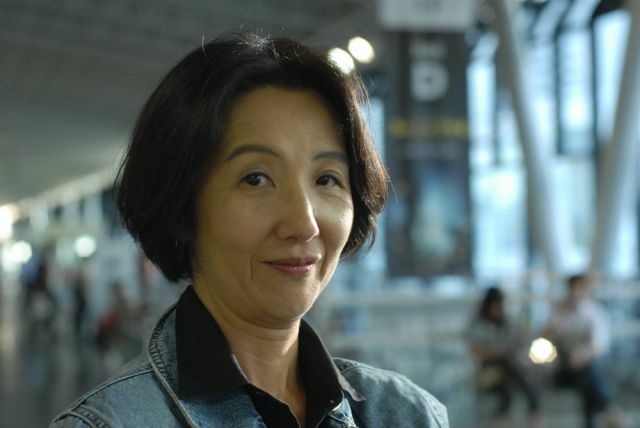 She has recently directed and produced ANPO, a film about Japanese resistance to U.S. bases seen through the eyes and works of celebrated Japanese artists. Maehara told reporters after his meeting here that Clinton had acknowledged the Senkaku islands -- known as the Dadirectlyioyu islands by China -- were subject to the treaty, Kyodo News Agency reported from New York. "According to the Japanese minister, Clinton said that the Senkakus... are subject to Article 5 of the bilateral security treaty, which authorizes the US to protect Japan in the event of an armed attack 'in the territories under the administration of Japan'," the report said. The dispatch did not quote Maehara . MR. CROWLEY: The Secretary had an excellent meeting with Foreign Minister Maehara. He joked at the start of the meeting this is his sixth day on the job – (laughter) – so he’s obviously traveled a great deal, put in a great many miles in a relatively short period of time. He spoke first about the importance of the U.S.-Japanese alliance, and the Secretary reciprocated that we certainly want to both continue and expand our consultations on strategic issues that affect the region and, of course, of interest to the United States and Japan. I’ll quickly tick off a number of topics, then you can just follow up where your interests lie. And in terms of bilateral issues, they talked about the relocation effort in Futemna, talked about trade – a variety of trade issues. On Futemna, the minister noted the agreement, the government-to-government agreement of May 28, and pledged that he was committed to fully implementing the agreement. And just one other issue on our side: The Secretary made a special appeal for the minister to encourage Japan to ratify The Hague Convention. She noted that there are a very large number of custody cases that are on our bilateral agenda. And the minister simply said this remains an issue that Japan is studying. But I’ll stop there and take your questions. QUESTION: On the tensions with China and how she encouraged dialogue, to what extent is the U.S. – not mediating, but the President’s going to be meeting with President Hu later today. I think he’s meeting with the Japanese prime minister while they’re here. But, like, to what extent is the U.S. trying to talk to both parties rather than just encouraging dialogue between the two of them? Is the U.S. being thrown into the role of peacemaker here? MR. CROWLEY: Well, I think, Elise, you put it properly. We are not mediating, per se. We have not been asked to play a particular role. This is an issue that two mature countries like Japan – and Japan are fully capable of resolving. And our sense is that neither side wants to see the situation escalate to the point that it has long-term regional impact, and that is really our view. （日本のような成熟した国なら、この問題を解決する能力があるはずだ。長期的に地域に影響が及ぶような事態にまでエスカレートすることは両国とも望んでいないはずだ、と我々は見ている。）It has come up in various discussions that we’ve had with both Japan and China this week. I can’t predict whether it will come up in the high-level meetings later on in the day. But we are hopeful that this issue can be resolved soon, and that was simply our message to the Japanese today. QUESTION: Could you characterize your level of concern about those right now? MR. CROWLEY: I mean, in any bilateral relationship, there are always areas of cooperation and mutual interest, and periodically, in any relationship, there are issues that arrive – arise that create tensions. So I wouldn’t say at this point – it is something that we just are hopeful that the two sides will work on aggressively and resolve as quickly as they can. QUESTION: P.J., does the U.S. take a position on actually what happened here? I mean, do you feel one side or the other is in the wrong or in the right? MR. CROWLEY: This is a – the issue of the Senkakus is complicated, as you know. We don’t take a position on the sovereignty of the Senkakus. So we understand that there can be room here for different interpretations of what happened. From our discussion this morning, the minister simply laid out from the Japanese side that they are pursuing this case through their legal system and that they expected to be able to resolve it, and we simply encouraged that to happen as soon as possible. MR. CROWLEY: I mean, we – I don’t think that we see that on the horizon, and we certainly would hope that it would not rise to that level. 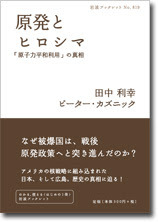 （そういうことは展望していないし、そういった事態にならないことを望んでいる）。This is – there are – this is, at one level, a case to be resolved legally. Obviously, it has diplomatic implications, and we are hopeful that through consultation and dialogue and communication, that this can be resolved. I mean, there are broader principles here for the region. As the Secretary noted when in Vietnam, we have an interest in the broad principles of freedom of navigation. And so – but certainly, in this narrow case, we just simply hope – we’re certainly aware of the tensions in various meetings. Both sides have mentioned it to us. And we continue to encourage both sides to do everything to resolve it and certainly not to escalate it. QUESTION: Do you think – this is a follow-up – do you think that legal process the Japanese are undertaking is appropriate? Is that one of those beefs that China has? MR. CROWLEY: I’m – I don’t know that I want to sit here and do an analysis of the legal process that is unfolding. All I’ll say is that the minister provided their perspective on how they see the issue, what they – the investigation that’s ongoing. And we just took note of their position. QUESTION: How much of this is related to your concerns about China’s general behavior on the seas? And you’re going to be meeting on Friday with the ASEAN leaders, talking about the South China Sea, and there just seems – and certainly, in the ASEAN meetings in Vietnam, there was quite a hefty discussion about China’s activities on the high seas themselves. How much of this is kind of related to trying to keep China in check? MR. CROWLEY: Well, I think let’s – there is a particular incident that has occurred. But obviously, broadly speaking, part of the dialogue that we did have at ASEAN involved broader principles, but also how nations in regions of importance to us will relate to each other, work together, and pursue common interests that benefit everyone, including the United States. The Secretary and the minister during the meeting today did briefly touch on the importance of the emerging architectures that we have discussed with Japan and other partners in the region. The minister, as we’ve heard from a variety of countries, is very pleased with the United States’s commitment to the East Asia Summit. And so we hope to play a constructive role in bringing and advancing architectures that will promote regional peace and stability. QUESTION: In terms of China’s ban on exports to Japan (inaudible) escalation to the spat between the Chinese and Japanese, and considering that (inaudible) and that the U.S. has expressed concern about how much of this China had. MR. CROWLEY: I’ve lost you. QUESTION: China has basically withheld exports of (inaudible) Japan (inaudible). What is the U.S. reaction to that? MR. CROWLEY: Well, it reinforces our hope that the two countries can resolve this soon. QUESTION: Just one more, sorry. Is this part of your common concern about regional stability? Is this – is there a concern that this is going to affect kind of getting on the same page about restarting the Six-Party Talks, or are you not even kind of there yet with North Korea, that that’s even a concern? MR. CROWLEY: I wouldn’t see a connection between the current tension over this one episode between Japan and China, and I don’t see it affecting North Korea. The ministers – the minister and the Secretary did touch on North Korea, and we have the same view about the importance of working together within the Six-Party process, and our hope that North Korea will take a more constructive path and will pursue denuclearization under the 2005 joint statement. QUESTION: Can you give us any more on the discussions about Futenma? I mean, that definitely helped to bring down the last Japanese government. Are you – was there any discussion of new approaches for Futenma or was there any discussion of timelines about when they hope to get this resolved? MR. CROWLEY: It was a relatively brief aspect of the meeting. The minister simply pledged that with the government agreement of May 28 that he is committed to carrying it out. I believe there – that there are some elections coming up in Japan, so how elections affect the timetable of how to carry it out, I can’t say from here. But obviously, we welcome that reaffirmation of the importance of the agreement and Japan’s commitment to work with us to carry out the relocation plan. QUESTION: Does the Secretary still feel the same sense of urgency that, for instance, she was expressing in the spring about this issue? I know that apparently, there’s some problems now with the Guam facility that might not even be possible (inaudible). Is there a sense that they can – if we can – we have a little bit more time now? MR. CROWLEY: I think with the – we’ve moved past that point both with the agreement and then with the technical work that’s been done by the working groups. I think with this reaffirmation, I don’t see – I don’t know that we see any particular obstacles at this point. QUESTION: You mentioned they just have trade issues. Can you give more detail on that? Does that, in any way, include the (inaudible) discussion on the recent currency intervention? MR. CROWLEY: Currency was not an issue discussed. QUESTION: Anything else about trade issues (inaudible)? MR. CROWLEY: No. The – high-speed rail was one that came up. The minister expressed an interest in having Japan invest in high-speed rail in this country. The issue of beef came up. QUESTION: How about Afghanistan? The Japanese are playing a big role in financing. Was there any discussion that they are going to be (inaudible)? MR. CROWLEY: Yeah. The Secretary thanked the minister and Japan for its ongoing commitments to Afghanistan, its role both in police training and financing of police salaries. Japan’s commitment is something like $5 billion over five years – a very substantial commitment. And they pledge this will be an area that – in terms of developing a strategic understanding of key issues, both regionally and globally, pledged to continue to cooperate on Afghanistan, understanding that we have – we’re facing a critical period over the next one or two years. 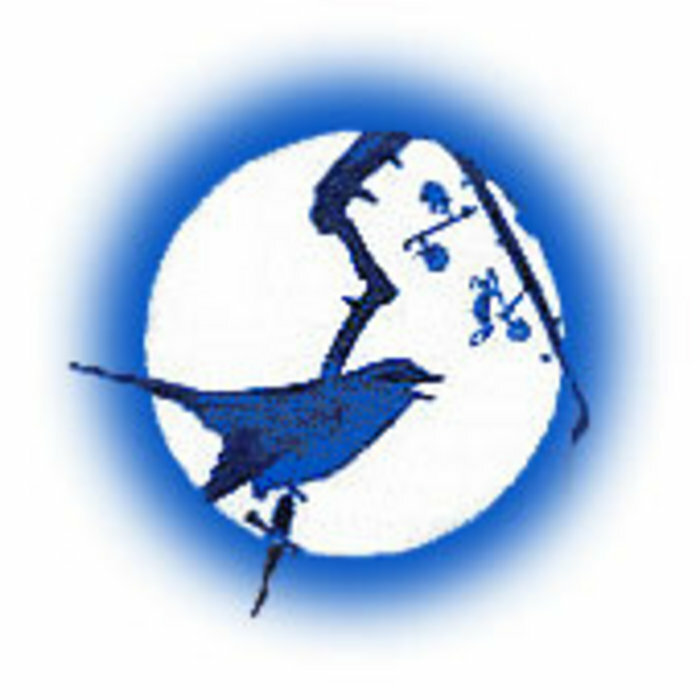 QUESTION: Two quick unrelated things: Do you have any update on the efforts to resolve the issue of the settlement moratorium, the talks that are going on now. MR. CROWLEY: I don’t know that I have. There are still – our teams are in continual contact. Beyond that, let me – we’re working intensively with both parties to see if we can keep them moving forward. MR. CROWLEY: I would – I mean, there’s lots of things in play. There are – the teams are here. Our team’s here, the Israeli team’s here, the Palestinians’ team’s here. Obviously, the Israeli team is in close contact back to the prime minister as needed. So I just can’t catalog because there’s just a lot going on. Our folks are in constant contact and trying to see if we can’t find a way to keep the parties in the process and moving forward. QUESTION: Is there – does the Secretary have any reaction to the Woodward book? QUESTION: One more thing on the Japan-China issue: Did the Japanese ask you to try and – I mean, I guess you said that you’re not playing a mediation role, but has either side – but particularly this morning, concludes a meeting with the Japanese? Did they ask you to kind of use your good offices to try and talk to the Chinese on the (inaudible)? MR. CROWLEY: There was no specific request that the Japanese made of us. 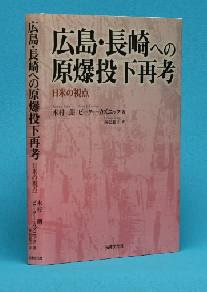 I would like to share my new article on Japan Focus: Asia-Pacific Journal. 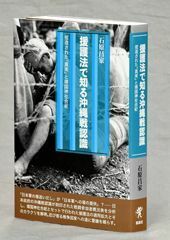 It is the first of such in-depth interview in English with the man, survivor of the Battle of Okinawa, who has worked, written, spoken, and taught tirelessly for the 65 years of post-war Okinawa, and continues to do so. 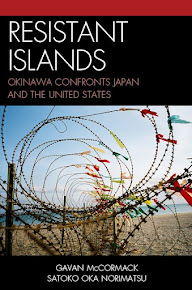 This article also reveals crucial little-known facts around the contentious "Futenma relocation" issue, and provides historical background behind the centuries of alienation of oppression of the southernmost islands of Japan and their people. 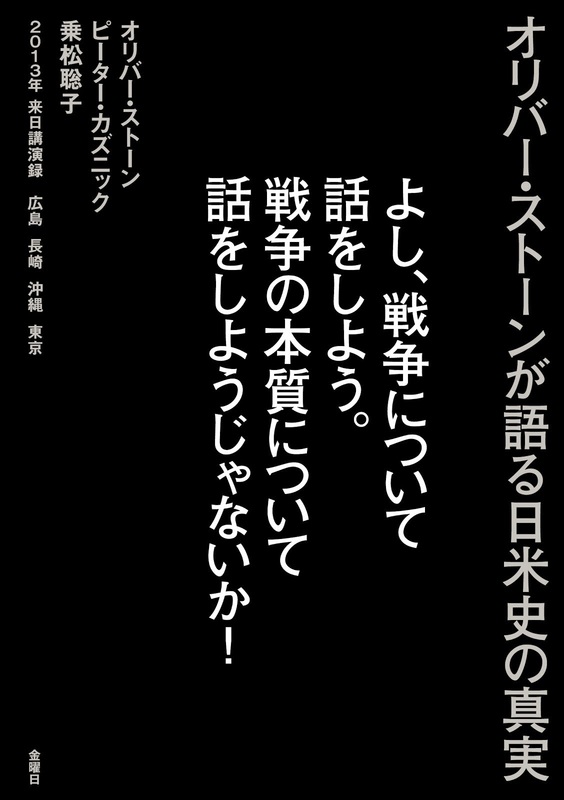 What I wrote here basically is about the fact that the mainstream Japanese all ignored that Armitage said that, given the recent Nago election and depending on the result of Okinawa gubernatorial election in November, a replacement base for Futenma in Okinawa may be impossible. Ryukyu Shimpo and Okinawa Times reported it, but the mainland media all ignored that part and focussed on one thing, which is that China is testing Japan by showing stern attitudes towards Japanese arrest of the Chinese fishing boat that collided with Japan's Coast Guard patroll ship near Diaoyu/Senkaku Islands. 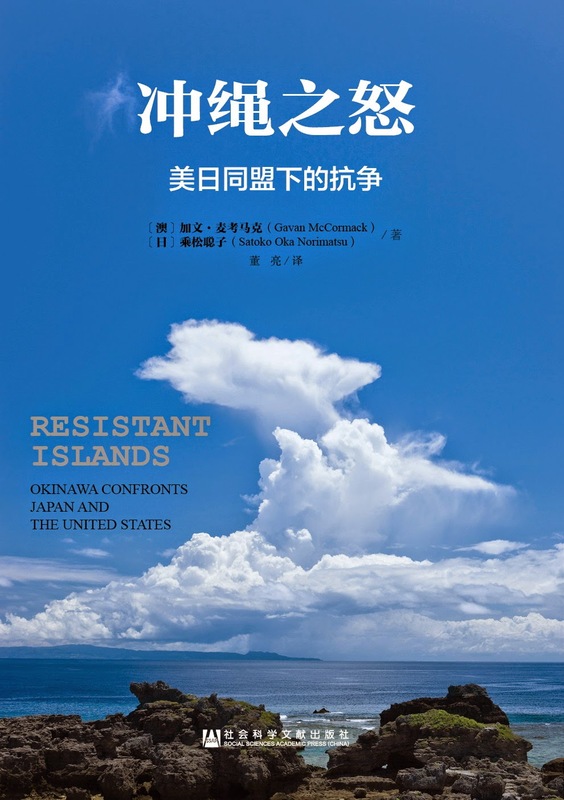 Now that the "deterrence" of marines and Okinawa's "geopolitical" advantage to deal with the "North Korea threat" are becoming ever unconvincing, this incident came in a perfect timing for those who want to increase the perception of the"threat of China," to justify perpetuation the US military base presence in Okinawa and the Henoko base construction. State; Deputy Secretary a former Assistant Secretary of Defense and Ambassador to the Newly Independent States after the fall of the Soviet Union, in recent years Armitage has combined a lucrative consulting business - through his firm, Armitage Associates - with seats in many prominent corporate boardrooms, including Raytheon and Mantech International. His company's clients have included multimillion-dollar defense contractors such as Boeing, Science Application International Corporation, and Halliburton subsidiary Brown & Root, as well as financial powerhouses Goldman Sachs and Chase Manhattan. Armitage also owns Rubaiyat Trading, a business entity created to own a Cessna Citation private aircraft valued at somewhere between $1 million and $5 million. He also has stakes in partnerships involved in everything from publishing to commercial real estate, and has personally invested millions in companies such as Pfizer, Chase Manhattan and American International Group. Speech by Hwang Kay, one of the guest speakers at the event on September 11, marking the 100th year of Japan's annexation of Korea. Nago City Council Election on September 12 resulted in the candicates supporting Mayor Inamine's opposition against a new base gained 16 seats, winning the majority in the 27-seat council. 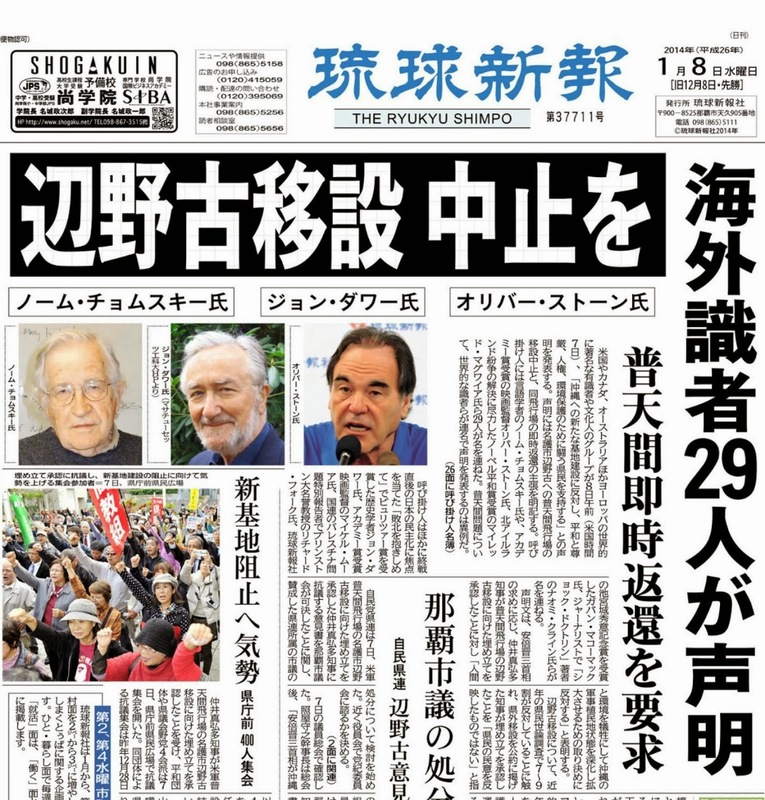 The election was not a referendum on the base issue, but it sends a message to the Japanese and the U.S. governments that their heavy-handed efforts to buy off Nago's "min-i (democratic voices)" are not working. They should stop trying to convince voters of Nago, and start listening to them. See a related post on September 9. See below an excerpt from the September 9 press briefing by Assistant Secretary of Defense Geoff Morrell, talking about the U.S. and Japanese joint use of "all facilities in Japan," including the FRF("Futenma Relocation Facility"), and confirming their plan to operate MV-22 Ospreys will operate in Japan. What Morrell indicates is that the joint use of military bases and operation of Ospreys apply to ALL military bases in Japan, not just in Okinawa. Could Ospreys operate in and out of Iwakuni as well ? 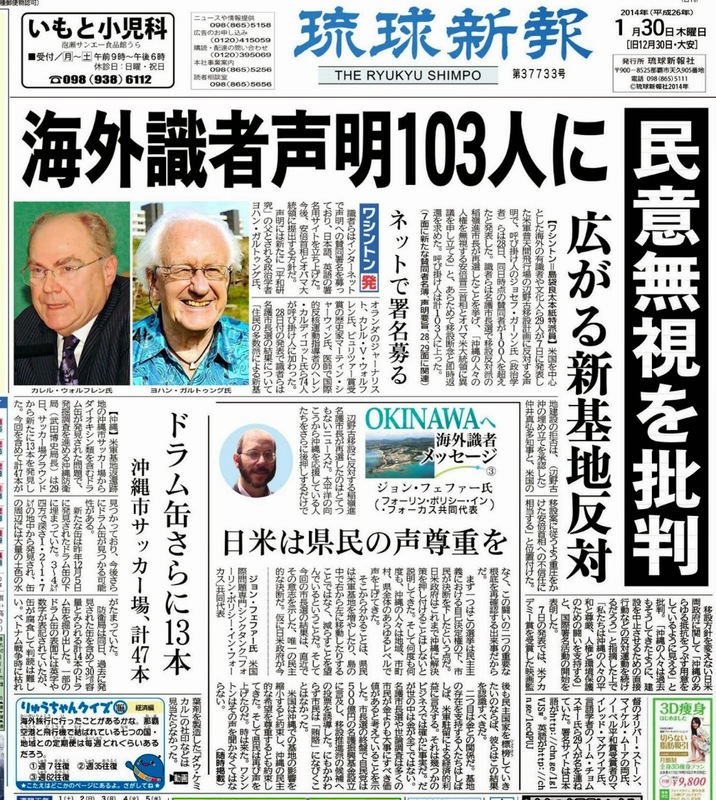 Okinawans are angry about the fact that the Japanese government has concealed the Osprey plan until earlier this month. The environmental impact assessment did not pay consideration to the Osprey operations either. 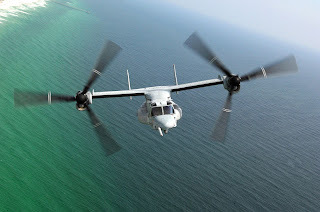 The Japanese and U.S. governments must be fully accountable for their plans to jointly use the military bases in Japan, and their plans to operate MV-22 Ospreys, dangerous aircrafts dubbed "Widow Makers" for their frequent accidents. From the transcript of September 9 Press Briefing of DoD (Department of Defense website). Q Hi. On the Futenma issue, Japanese Defense Minister Kitazawa announced that United States and Japan agreed to discuss the possible joint use of Futenma Replacement Facility. But this was not included in the so-called bilateral or Experts Study Group report which was recently published. Did United States actually agree to discuss about this possible joint use? MR. MORRELL: I think, Yoso, as you are aware, the ministers have agreed to look at joint or shared use of, frankly, all facilities in Japan, the FRF among them. But the mandate of the Experts Study Group was to look at the facility's location, configuration and construction method. So looking at shared use was beyond the scope of their mandate, as were a slew of other issues. So that was never their charge. However, there is a separate consultative process that will, indeed, study, you know, the expansion of joint and shared use of U.S. military and Japanese facilities in order to improve the effectiveness of the alliance's defense posture. So we do anticipate those discussions to take place. They just weren't a part of this first -- the working group -- the experts' group, their mandate, okay? Okay. You also had another question that you sent me, I think. It was about the Ospreys. And what I would say to you there is yes, we anticipate that Ospreys will indeed operate in Japan. And we've -- and we've told the Japanese government as much. You know, where and when and how are things to be determined. But this is obviously an incredibly effective form of airlift that will enhance our alliance capabilities. And so we do anticipate the deployment of Ospreys to our facilities in Japan at some point. After the long hot summer in Japan, working on various other programs such as the annual study tour to Hiroshima and Nagasaki, I have not done a good job of keeping up with the military base issue in Okinawa. I will try to post again as often as I can, especially the kind of information that is not readily available in English. This upcoming Sunday, September 12 is the day for Nago City Council election. 37 candidates are running for the 27 positions. Within the current City Council, 12 support the anti-base mayor Inamine Susumu, another 12 are against, and 3 are neutral. 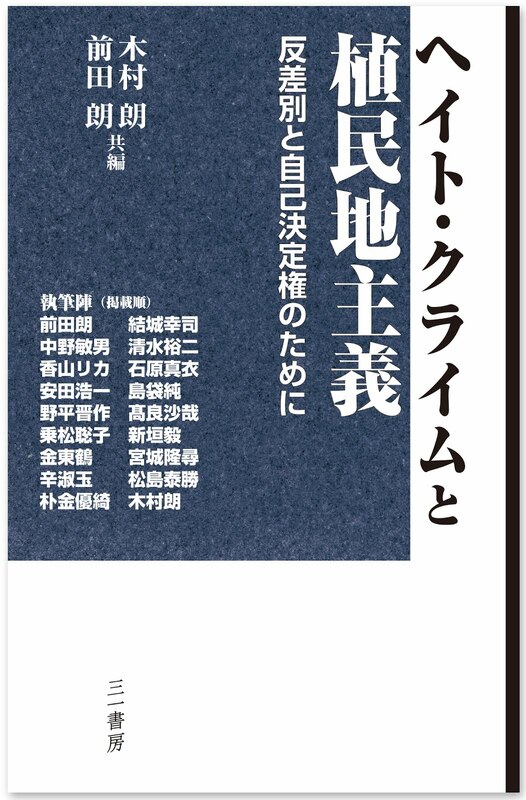 According to the Ryukyu Shimpo report on September 6, the 37 candidates are divided over the base issue too, with 18 of them connected to the political parties opposing the new base, 17 of them supporting, and 2 on the neutral side. However, according to the Ryukyu Shimpo survey with those candidates asking specifically about the base relocation issue, 24 of them oppose the base, only 1 supports it, and the 12 others did not know or did not answer. According to Asahi Shimbun on September 7, most of the candidates are avoiding the base relocation issue in their campaigns, because they all want votes from Nago citizens, whether they are against or for the new base plan. This City Council election is not, or even the mayoral election back in January was not a plebiscite on the base issue, even though both elections are perceived to be so. In fact, Nago did have a plebiscite specifically on this issue back in 1997, in which the the majority expressed their opposition to the base. 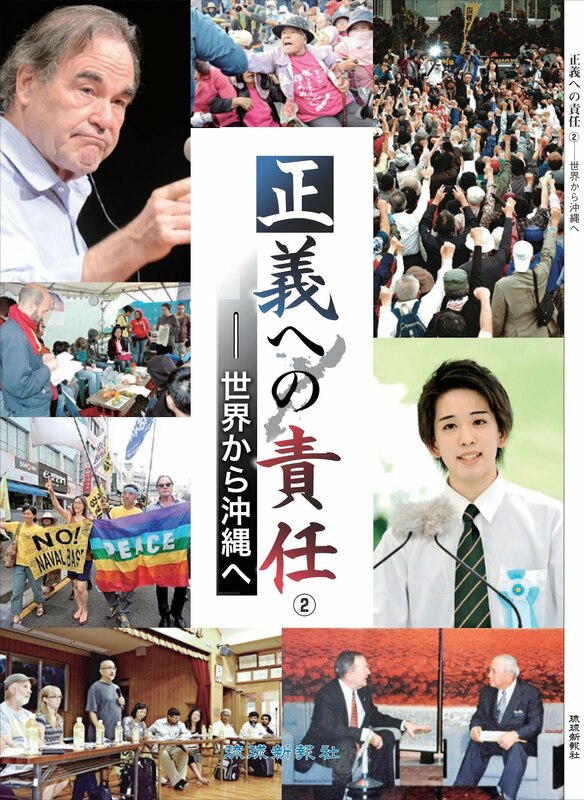 Medoruma Shun, an Okinawan author and blogger on September 6 says, "The voice of Nago was already expressed at the December 1997 plebiscite, in which the majority voted against the new base. 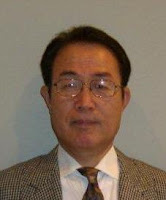 Subsequent mayors (Higa-Kishimoto-Shimabukuro), previous Governor Inamine (Keiichi), current Governor Nakaima, and the Japanese government have all ignored this democratic expression of Nago for the past thirteen years. If these leaders had respected the result of the 1997 plebiscite, residents of Nago would not have had to go through the kind of confusion and suffering they went through for the past 13 years." Meroruma is right. There are four elections in this year only - the mayoral election, the Upper House election in July, the upcoming City Council election, then the gubernatorial election in November. It is not fair for the residents of Nago to be tested like this from one election to another, when the only plebiscite they ever had dedicated to this issue expressed a NO to the base. The reason why there is so much media attention on the council election of this small city of 60,000 is that the government wants to use the result of the election, if it is favourable to them, to push through the base plan. I found another disturbing piece of news in the August 27 edition of Okinawa Times. 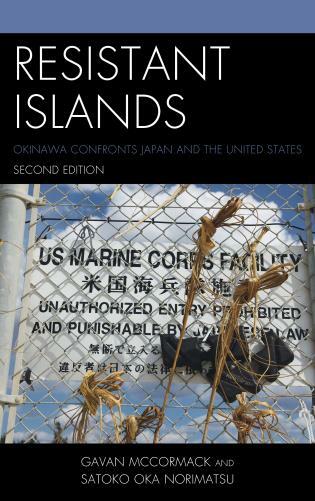 It was reported that the Marine Corps in Okinawa is planning to replace the barbed wire fence on the beach of Henoko with a more sturdy structure. What kind of structure it will be is unknown, but a local company has already won a contract, and the construction is set to start in September. 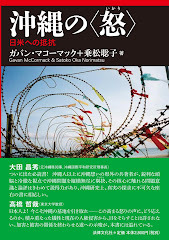 This barbed wire fence has become a symbol of the resistance in Henoko. People from all Okinawa, Japan, and around the world have left messages of opposition against a new base and for a base-free Okinawa on pieces of colourful cloth over the fence on the border of USMC Camp Schwab and the civilian side of the beach. Is it possible that they are building a new fixed fence so people won't be able to see easily what they will try to do beyond that fence... to build a brand-new, Osprey-capable runway and a military port, by massive reclamation of the eco-sensitive Oura Bay? Whatever they build over the border, we won't let them build a new base beyond it, and the activists and visitors will be as creative as ever in decorating the new fence. 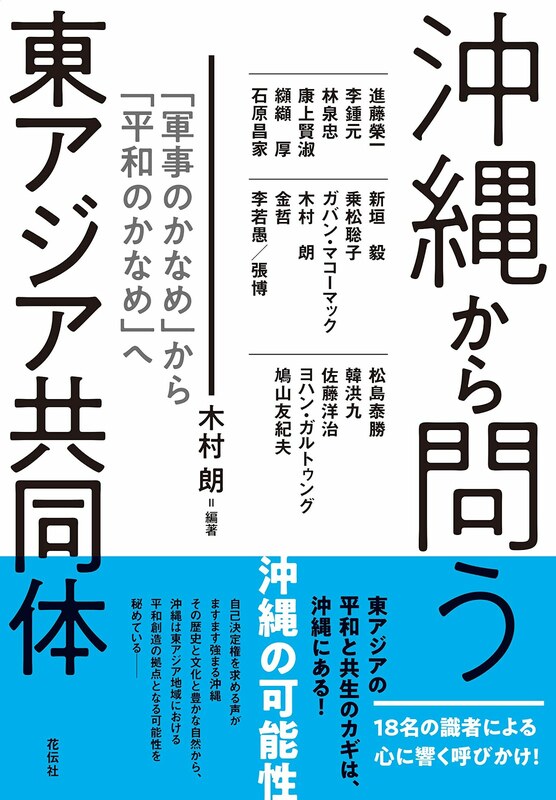 For more in-depth analysis of the Nago election, as well as the DPJ presidential election (September 14) and Okinawa gubernatorial election (Novemebr 28), see Gavan McCormack's new article on Japan Focus: Asia-Pacific Journal. 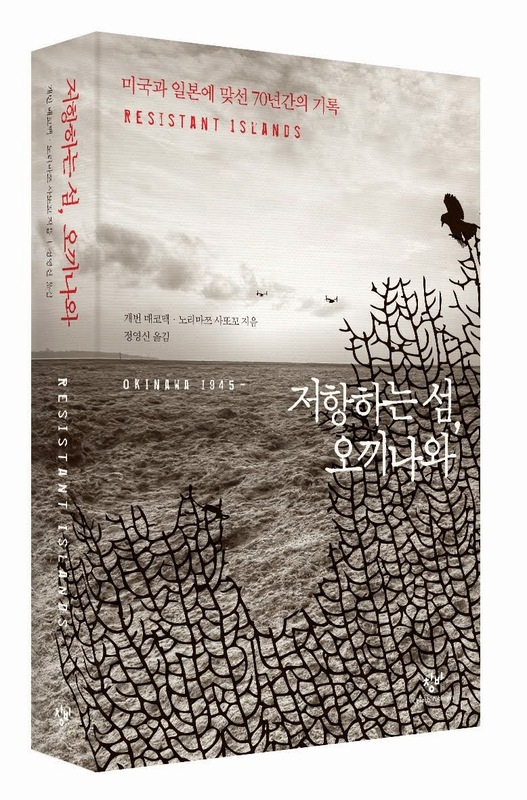 This year marks the 100th year since Japan's forceful annexation of Korea. 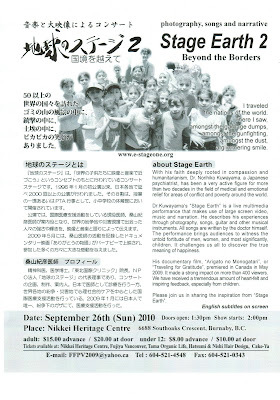 Vancouver Save Article 9 will host an event on September 11, 2010, with special guest speakers Hwang Kay, Kim Sung Joon, and Pae Ann, to learn about the history of Japan's colonization of Korea, the post-war Korea/Japan relationship, and issues surrounding zainichi Koreans (Korean residents in Japan), among other related issues, and think together about creating a peaceful future for Korea and Japan. It will be held 1:30 - 3:30 at Roundhouse Community Centre in Downtown Vancouver, across the street from Canada Line's Roundhouse Station. The admission will be free, and we accept donations to cover rental and other expenses. 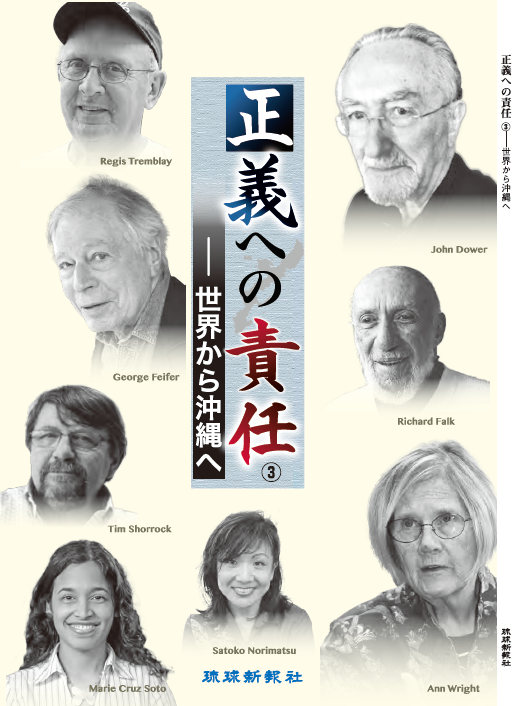 The event will be conducted in Japanese. For more information, email info@vsa9.org. My name is Sydney Archer and I am currently a second year student at the University of British Columbia. This year I had the honor of joining some students from American University, Ritsumeikan University and Asia Pacific University on a ten day trip from Kyoto to Hiroshima and Nagasaki during the time of the 65th year memorial ceremonies. Throughout the trip, the group of around forty students got to hear from professors, hibakusha, researchers, politicians, and other speakers as well as experience the tragedy of the bombings by participating in the ceremonies and visiting museums. It was an incredibly unique experience where students from such varied backgrounds could come together and learn about the history that has shaped the countries where they live in. One-legged Torii Gate near the hypocentre of Nagasaki. The rest of the gate was shattered by the bombing. I was one of the two Canadian students that got to participate on this tour, and so it was a bit interesting finding out for myself where I fit in the mix of other students! Being half Japanese with Canadian citizenship, I didn’t really feel the same as the Japanese students or American students -- it was interesting how I was learning about what it meant to be Canadian ironically outside of Canada! 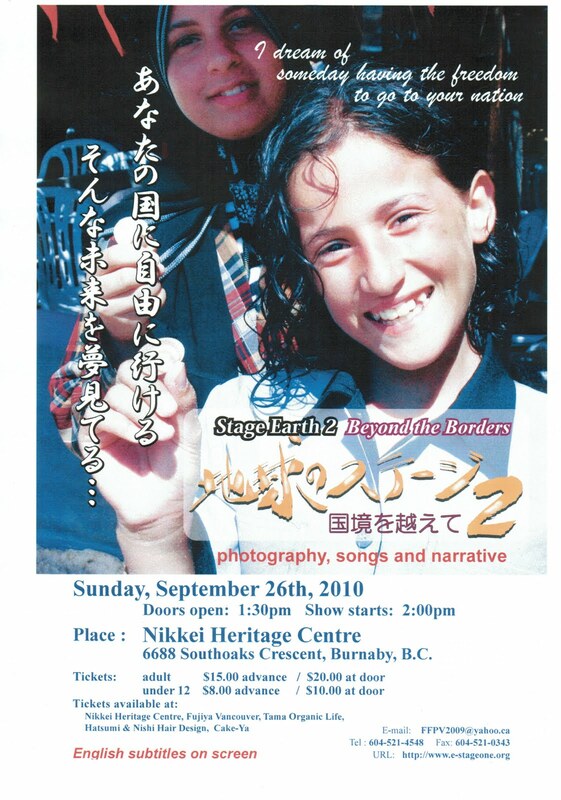 During the trip, we were put into “peace families”, mixed groups of students where the locals served as guides to the foreigners around Japan. My peace family had an amazing combination of experiences and history: an American soldier who fought in Iraq, a Hiroshima local whose grandfather and great grandfather were in Hiroshima 65 years ago, a Ritsumeikan Student who was born in America, an Asia Pacific University student who went to school in China, and a peace advocate who walked across America in a nine month peace march. Despite the scope of our backgrounds, we shared an incredible desire to learn about the events of Hiroshima and Nagasaki and how they have shaped history. It was quickly apparent that the ways in we had each individually learned about WWII left holes in a bigger picture that came together as we visited museums, attended lectures, and shared experiences with each other. Statue of the unknown child victim of Shiroyama Elementary School in Nagasaki, which lost over 1,400 students and teachers in the bombing. Being a physics minor student, one aspect of this trip that to me was quite interesting was the opportunity we had to hear lectures where we heard from speakers regarding the effects of the bombs on the people. In Hiroshima, we went on a trip to the RERF (Radiation Effects Research Foundation, which used to be the Atomic Bomb Casualty Commission) an organization that conducts research on the hibakusha to discover the long-term effects of the radiation. We heard Dr. Neriishi, who works at the RERF and talked with us about how the radiation affected the people who lived in Hiroshima and Nagasaki. We learned about how the bombs had an initial wave of neutrons, and other radiation that accompanied the blast and this being the cause of the future problems with the hibakusha. Later in the trip, we heard from Dr. Sawada, who in addition to being a hibakusha himself, researches the effects of the atomic bombs on other survivors like him. 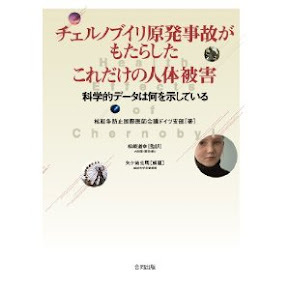 He talked about how the RERF doesn’t acknowledge the existence of the residual radiation and the effect this has on the underestimation of the adverse effects of nuclear victims both in Hiroshima and Nagasaki, where bomb victims are only recognized within a certain range (and others don’t receive the same health benefits). Because the RERF conducts research which is used in making decisions regarding nuclear weapon use elsewhere in the world, this also means that people living near nuclear test sites are experiencing long term effects of the residual radiation (such as the abnormal birthrates increasing among Marshal Island inhabitants as distance decreases to Bikini Atoll). The residual radiation made sense to me after visiting the Nagasaki museum which explained it quite well and upon hearing this, I understood why the mayor of Hiroshima had urged the Japanese government to legally recognize the expanded “black rain areas” in his peace declaration that I had heard earlier in the week. Group photo in Hiroshima Peace Memorial Park, with the A-bomb Dome in the background. In addition to learning all of these things on a mental level, I felt as though I was experiencing it on an emotional level. Though I still can’t imagine what it must have been like for the hibakusha after the bomb was dropped, travelling for the ten days with Koko (a hibakusha) and experiencing the lantern ceremony as well as many other annual events gave me a taste of the tragedy associated with the bombings. As our study tour connected the Hiroshima and Nagasaki bombings with issues of today like the American bases in Japan, nuclear nonproliferation, and peace between countries I realized how these two events fit into the picture of history that is being defined today. Sydney Archer, asking questions about the radiation effects of different types of nuclear weapons, at Dr. Shoji Sawada's lecture. Participating in this trip was truly a great opportunity to build relationships with students from across the world and learn while visiting the places that these events took place. Going back to the University of British Columbia again this year, I feel as though I take the experience of this trip back with me. Living this year less than a block away from the Ritsumeikan residence on UBC campus, hopefully I will be able to share my experience not only with local students, but Ritsumeikan students studying here! I would like to thank Professor Atsushi Fujioka of Ritsumeikan University, Professor Peter Kuznick of American University, and all of the organizers who made this trip possible as well as the other students who welcomed Tomoe and I on this year’s tour.